Bad Apple Bail Bonds has been posting Lincoln County bail bonds for over 10 years. Our agency is committed to providing our clients with the information and service they need to get their loved ones released and back to their lives. Our Lincoln County bail bondsman is only minutes from the jail. They are available 24 hours a day to answer questions, gather information, and post bail bonds. Our agent has over 15 years experience working in Lincoln County. When our agent gets a call, they begin working on the case immediately. They understand how important it is to our clients that their loved one is released as soon as possible. Our agent will explain the bail bonding process, and our payment plans so you understand what your options are. Once your questions are answered they will set a time that is convenient for you, and meet to get your loved one released. Bail bonds in Lincoln County range in amount depending on the severity of the charge. Our agency will post any surety bond over $5,000, and has posted bonds as high as $500,000. 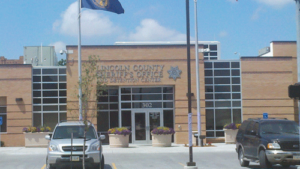 Lincoln County Jail is located at 65 Business Park Dr in Troy Missouri. They accept bail bonds services 24 hours a day. To contact them call (636) 528-8546, or visit their website.